Bust out the balloons and beach balls, crank up the tunes and get some fresh air! In honor of Active Aging Week, here are five of the top exercises for seniors and older adults that are as enjoyable as they are beneficial. Ever wanted to try the dance-based Zumba but thought it might be too intense? Zumba Gold is the answer! Classes offer a modified version of the classic Zumba “that recreates the original moves…at a lower intensity,” according to the Zumba website. 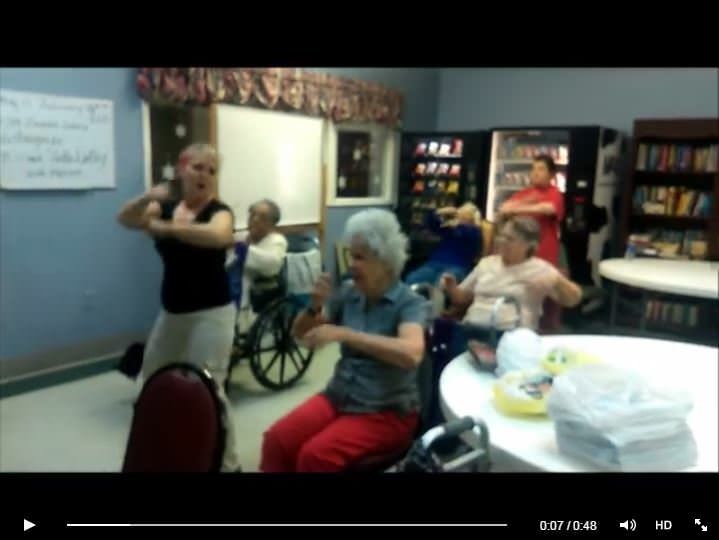 A slow song that gradually speeds up like “Proud Mary” was a favorite among residents at Southfork, a DePaul Senior Living Community in Winston-Salem, North Carolina. Though ‘chair’ and ‘exercise’ don’t seem to belong together, you would be surprised at the physical benefits you can receive working out while sitting. Arm exercises with stress balls, leg and breathing exercises and other movements help build strength and balance. 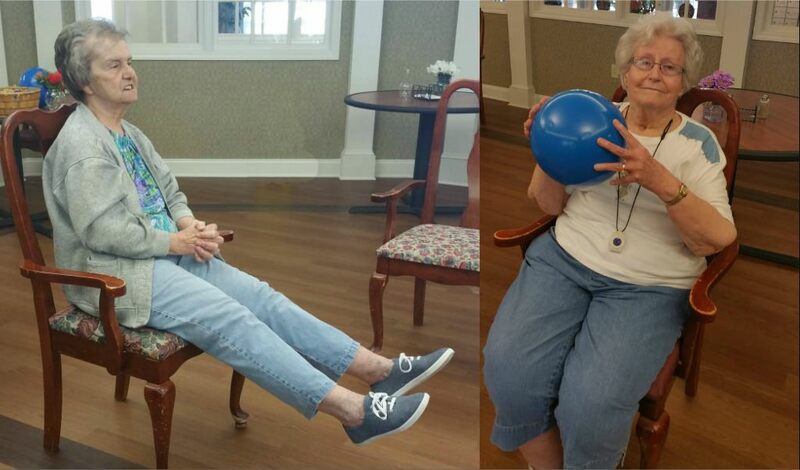 In fact, at Pee Dee Gardens in Florence, South Carolina, resident Jennie (below, left) has been teaching hour-long chair exercise classes for the past four years. 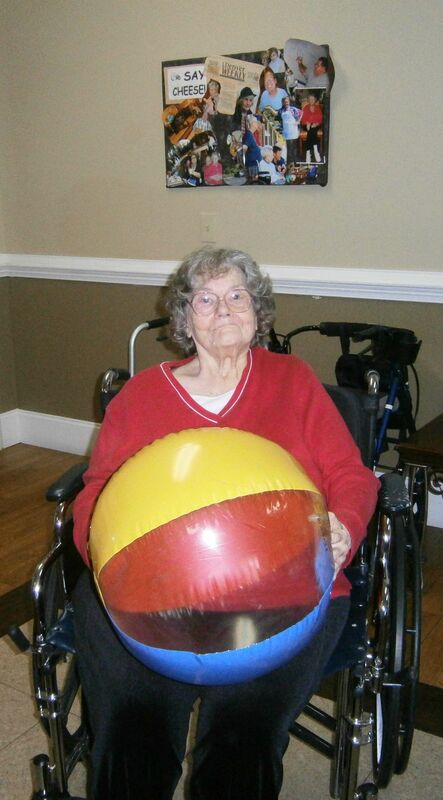 Just like chair workouts, balloons and beach balls don’t automatically connote ‘exercise,’ yet you’d be hard-pressed to find a more enjoyable way to keep active! Or try a simple game of trying to keep a beach ball from touching the ground. It’s guaranteed to elicit smiles! Taking a stroll outdoors has been proven to increase your Vitamin D levels, boost your mood and more, according to Tesco Living. Even a walk indoors will tone your body and potentially help prevent dementia and osteoporosis. 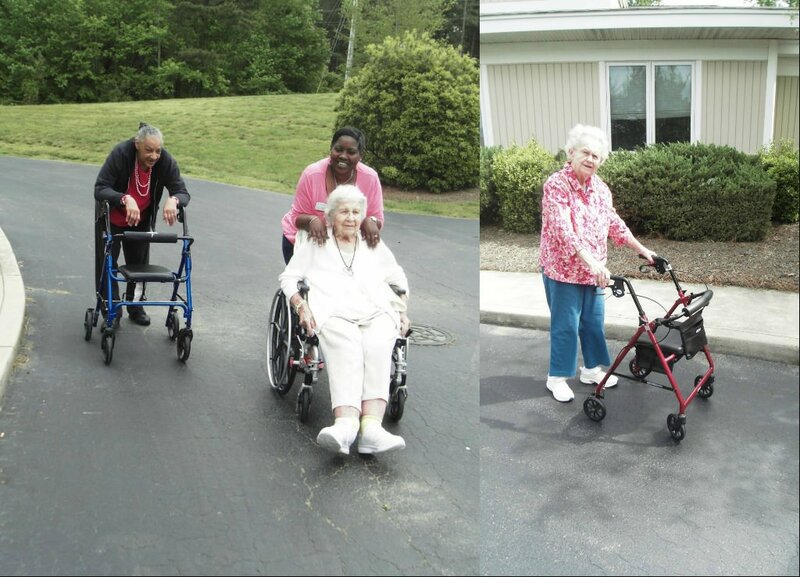 It’s tough to beat a walk socializing with friends on a sunny day! 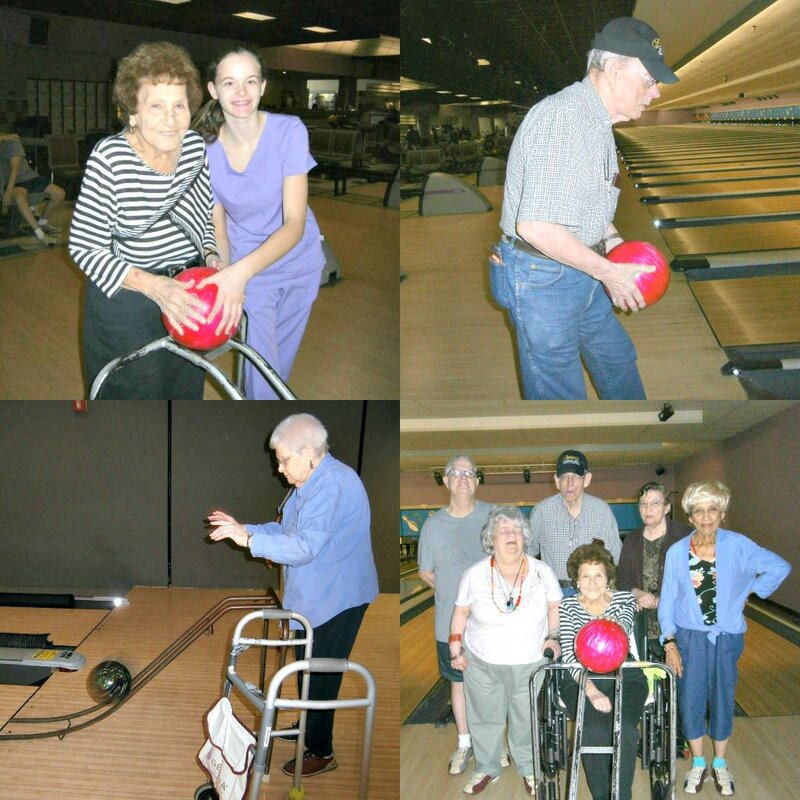 Bowling is not only a beneficial exercise, it’s a chance to let loose and get to know your fellow bowlers! What may be stereotyped as a ‘lazy’ sport can actually help you lose weight, increase your metabolism and reduce risk of disease, among other benefits, according to AZ Central. There are so many more ways to stay active while having fun! What is our list missing? DePaul’s 18 senior living communities in New York, North Carolina and South Carolina provide ample opportunities to stay active. Click here to learn more about our full schedule of activities, outings and events.